Ko Jin-Young also was known as Jin Young Ko is a South Korean professional golfer. She turned professional in 2013 and currently plays on the LPGA Tour. She was named the LPGA Rookie of the Year in 2018. She has already won 10 times on the LPGA of Korea Tour by the age of 22. She won her first LPGA major championship, the ANA Inspiration in April 2019. She is ranked at No. 5 in the Women's World Golf Rankings as of April 2019. 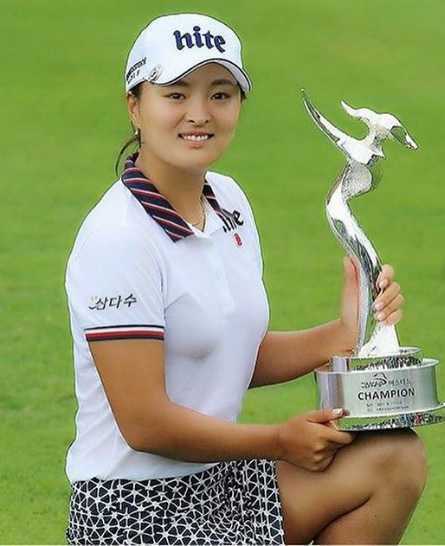 Ko Jin Young wins her first LPGA major tournament. She won ANA Inspiration on 7 April 2019. The reigning Rookie of the Year defeated fellow South Korean Lee Mi-Hyang by 3 strokes at 10-under-par 278. The 23-year old became the 15th different Korean to win an LPGA major. What is Ko Jin Young Famous For? - First LPGA major championship, the ANA Inspiration in April 2019. Where was Ko Jin Young Born? Ko Jin Young was born on 7 July 1995. She was born to a father, Ko Sung-Tae, and a mother, Kim Mi-young. Her ethnicity is Asian (South Korean). Her birth place is in Seoul, South Korea. She holds South Korean nationality. Her zodiac sign is Cancer. Information about siblings, early life, and education is currently unavailable. It will be updated soon. Ko Jin Young turned professional in 2013. She has 14 professional wins. She has won 4 LPGA Tour. She has won 10 LPGA of Korea Tour. She finished 2nd at the 2015 Ricoh Women's British Open. She represented Korea at The Queens in 2015, 2016, and 2017, winning once in 2016. She won 2016 World Ladies Championship with Lee Jung-min. She won the LPGA KEB Hana Bank Championship in 2017. She became a member of the LPGA Tour for the 2018 season. She won her opening tournament, ISPS Handa Women's Australian Open in February 2018. She became the only second player in LPGA history to win in her first tournament as a Tour member. She finished 13 out of 25 tournaments in top 10 in 2018. She was named the Rookie of the Year in 2018. She was ranked at No. 10 in the Women's World Golf Rankings after the end of 2018 season. She won Bank of Hope Founders Cup in March 2019. She won her first LPGA major championship, the ANA Inspiration in April 2019. She defeated fellow Korean Lee Mi-Hyang by 3 strokes. She is ranked at No. 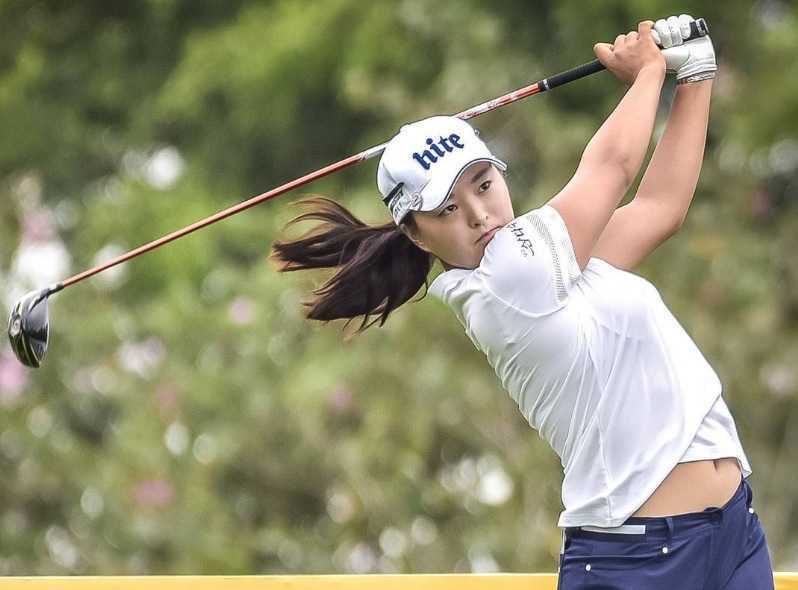 5 in the Women's World Golf Rankings as of April 2019.
Who is Ko Jin Young Dating? There is no official information regarding her relationship status. She is not married yet. She might or might not be dating someone. No rumors regarding her affairs have surfaced yet. What are Ko Jin Young's Body Measurements? Ko Jin Young stands at a height of 1.69 m i.e. 5 feet and 6 and a half inches tall. She has an athletic body build. Her other body measurements are currently unavailable. What is Ko Jin Young's Net Worth? Ko Jin Young plays professional golf. As of golfer, she has won estimated $5 million prize money on her LPGA Tour. She earns from her salary, prize money, and endorsements (if any). As of 2019, her net worth is under evaluation. It will be updated soon.